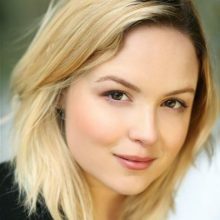 Kimberley Nixon is a BAFTA award-winning Welsh actress based in London with numerous stage and screen credits to her name. Probably most recognisable as Josie in Channel 4’s Fresh Meat. Other credits include: Cranford, Hebburn, New Blood and Ordinary Lies for the BBC. Poirot, Marple, Law and Order and Kidnap & Ransom for ITV, Critical (Sky One) and Outlander (Starz/Amazon). Film credits include Wild Child, Angus, Thongs and Perfect Snogging, Easy Virtue, Black Death, Offender and Cherrybomb. Kimberley has recently completed her critically-acclaimed one-woman show, Original Death Rabbit at the Jermyn Street Theatre, London. With a youthful, bright and energetic quality, Kimberley has voiced several documentaries for the BBC including The Call Centre, The Wedding Guru and Young, Welsh and Pretty Skint/Minted to name but a few.